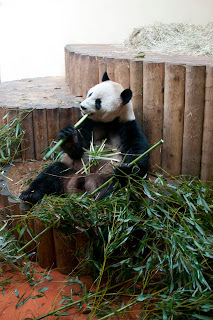 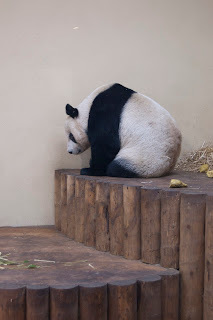 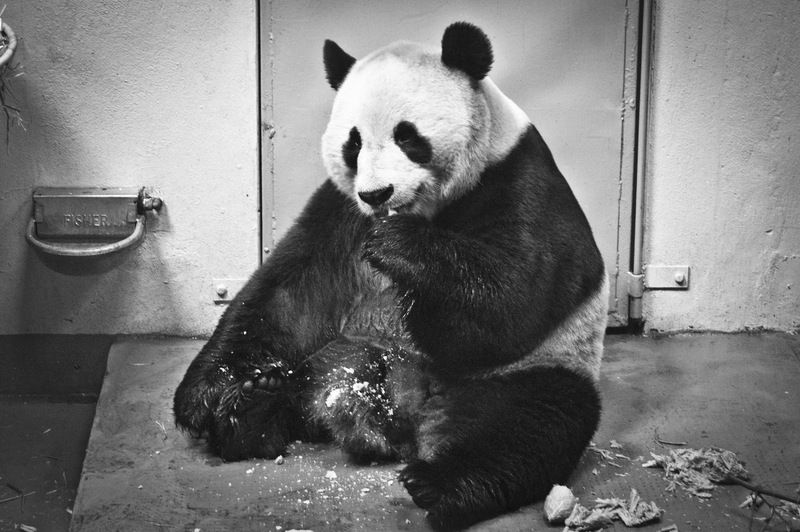 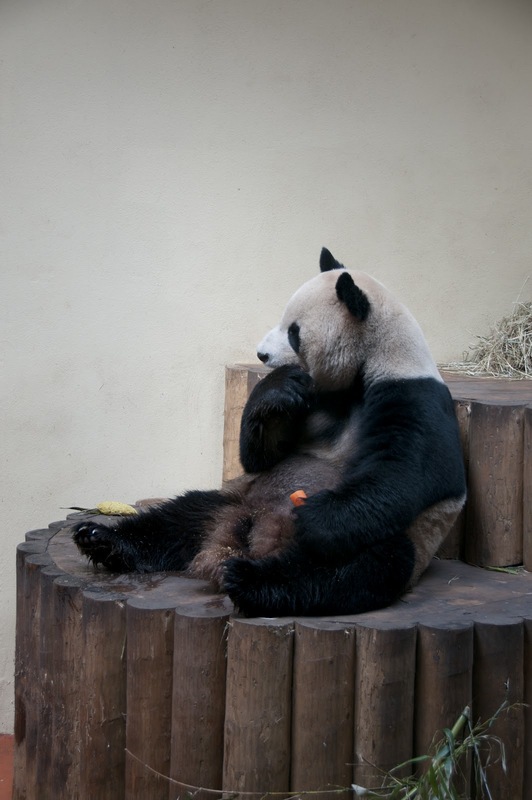 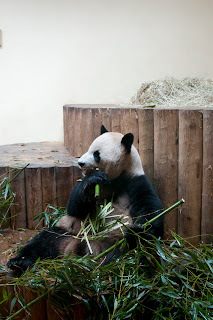 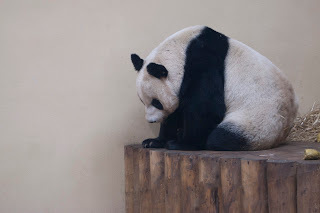 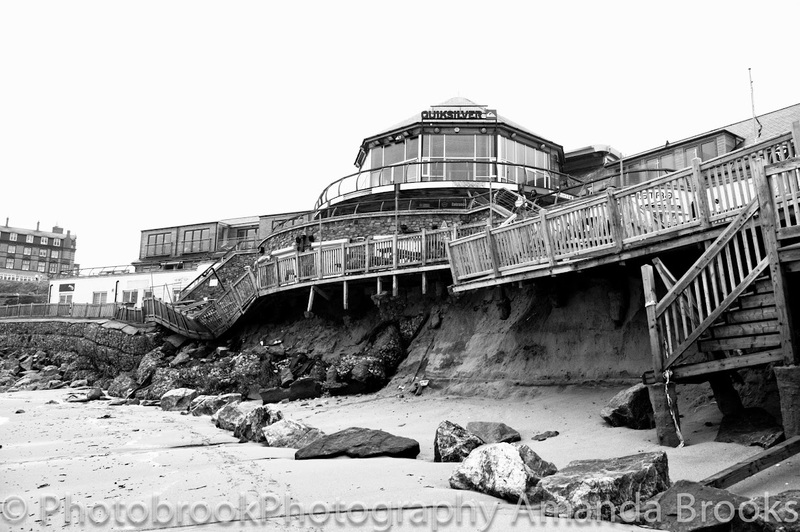 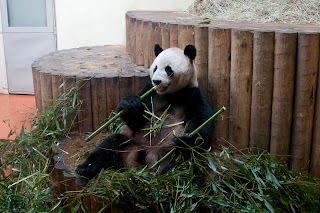 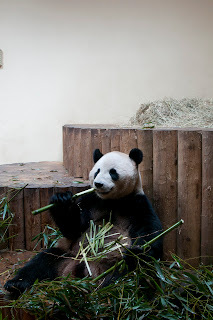 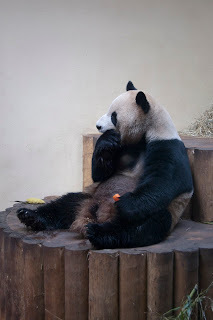 Photobrook Photography: Pandas in the UK Photographs. 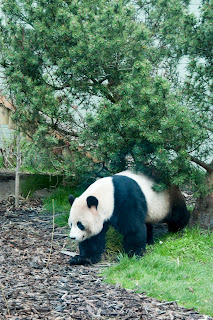 Tuesday the 1st of May was finally the day where i got to meet the amazing Pandas at Edinburgh Zoo. 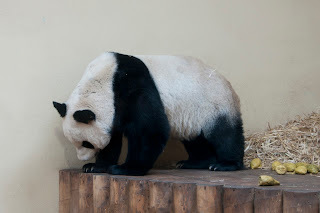 The are more amazing up close that you could ever imagine. So beautiful so graceful and so lazy! 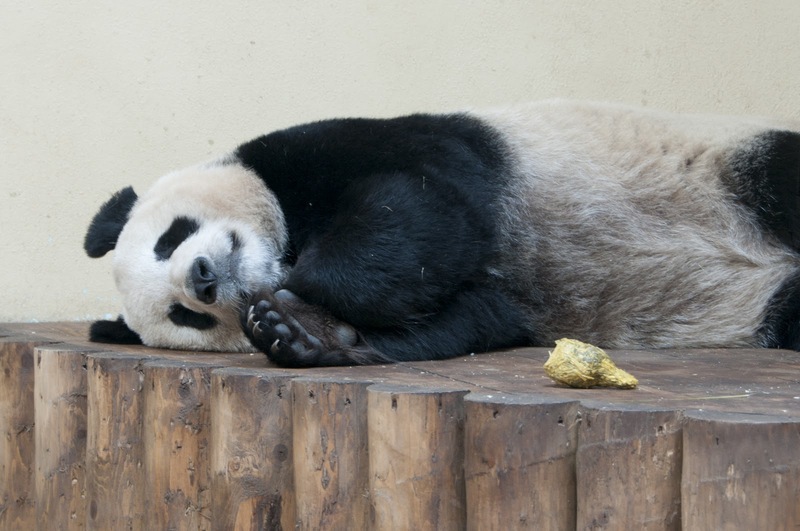 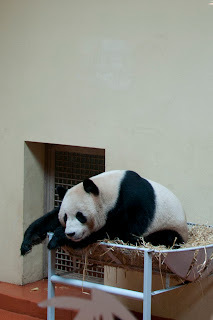 This is Tian Tian the female panda who had actually been sleeping all day, also known as Sweetie. 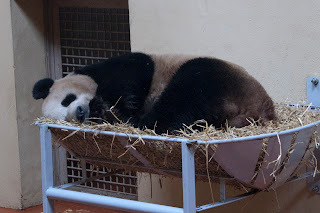 And this is Yang Guang the male bear also know as Sunshine, also being a bit lazy and sleepy. 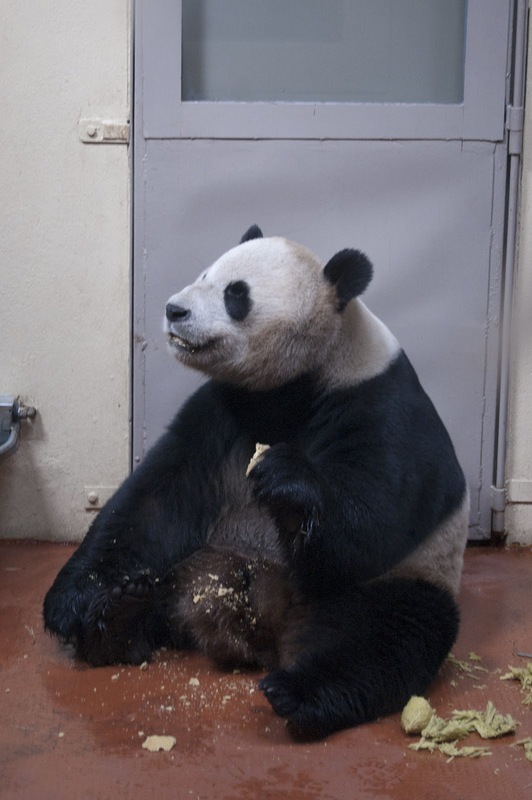 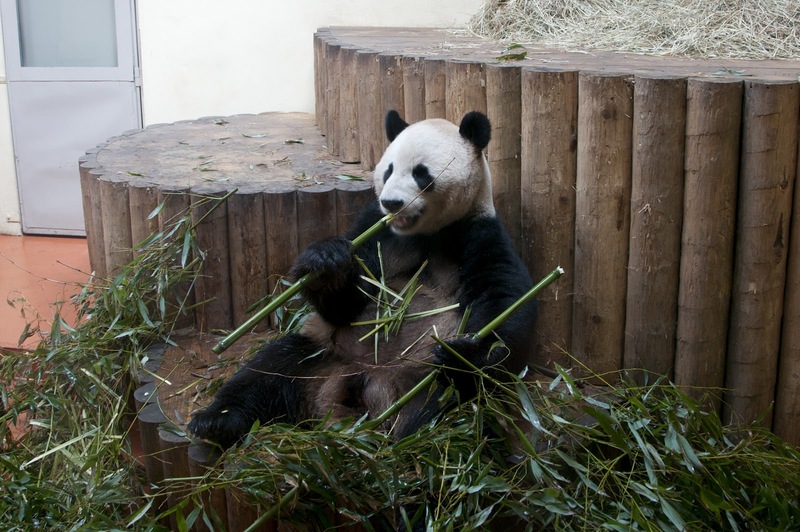 Although he soon got up and started feasting on his bamboo, panda cake and carrots and looked very content. 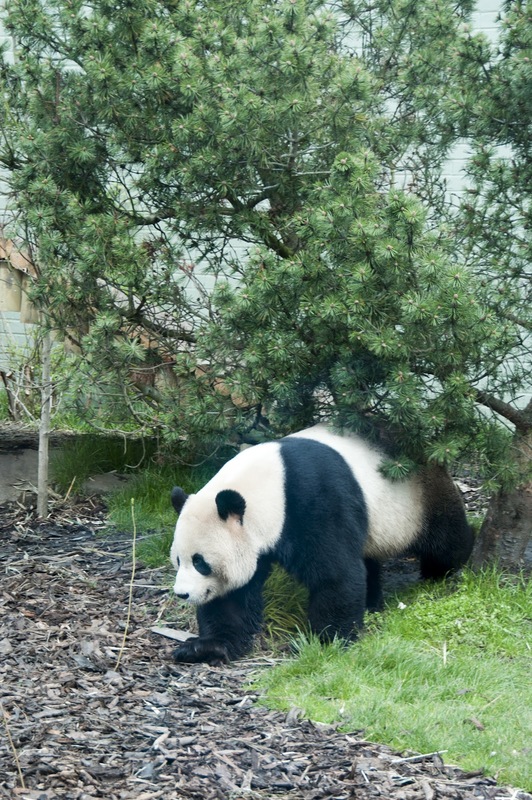 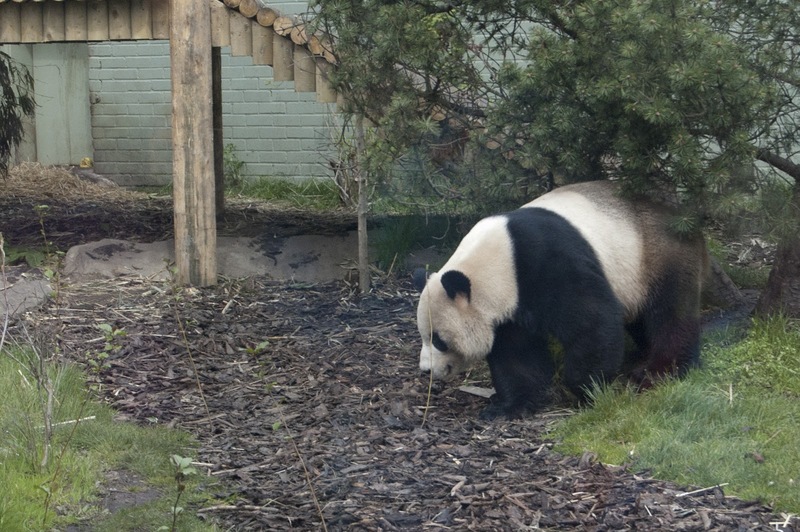 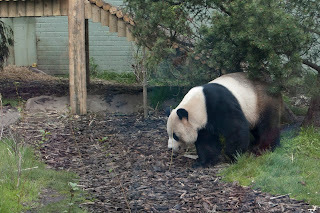 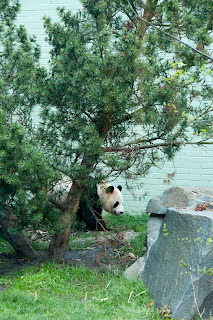 Yang Guang in his outside enclosure whilst the Zoo keepers were preparing his food in his indoor enclosure. 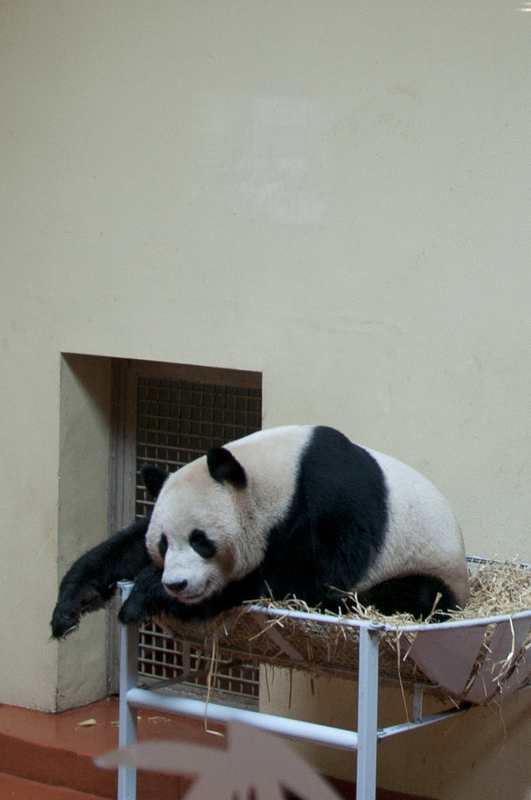 A very happy Yang Guang with his Panda cake. 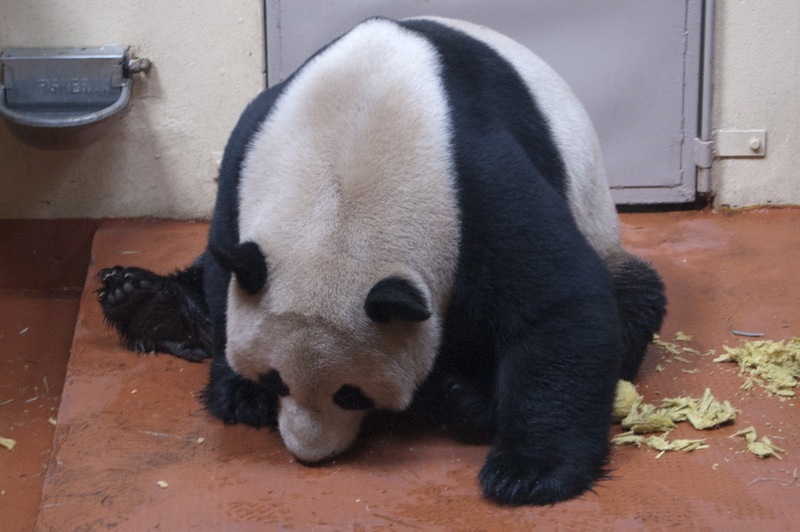 Eating every last crumb of Panda cake off the floor. 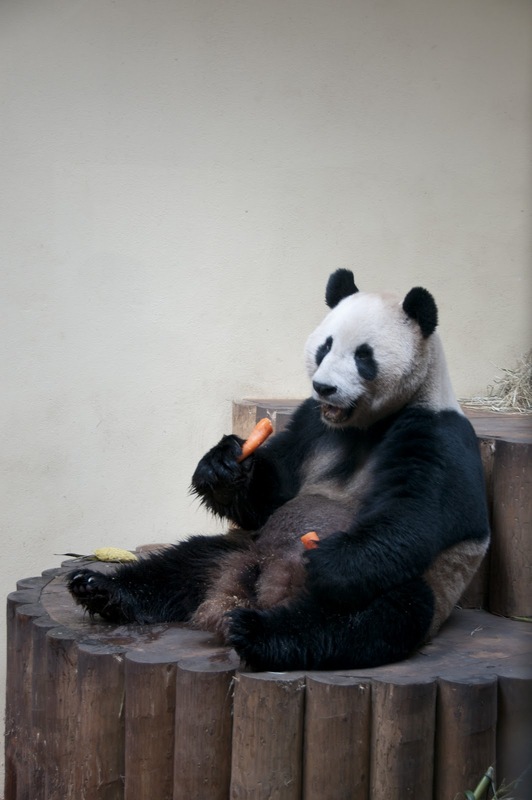 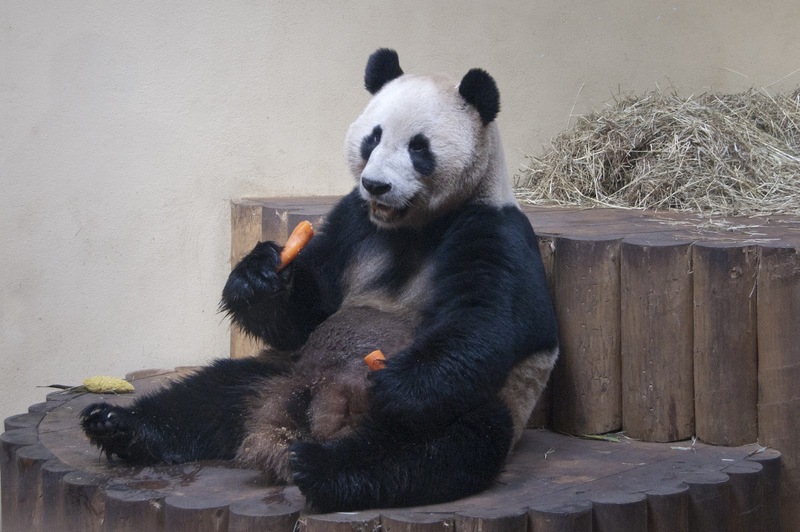 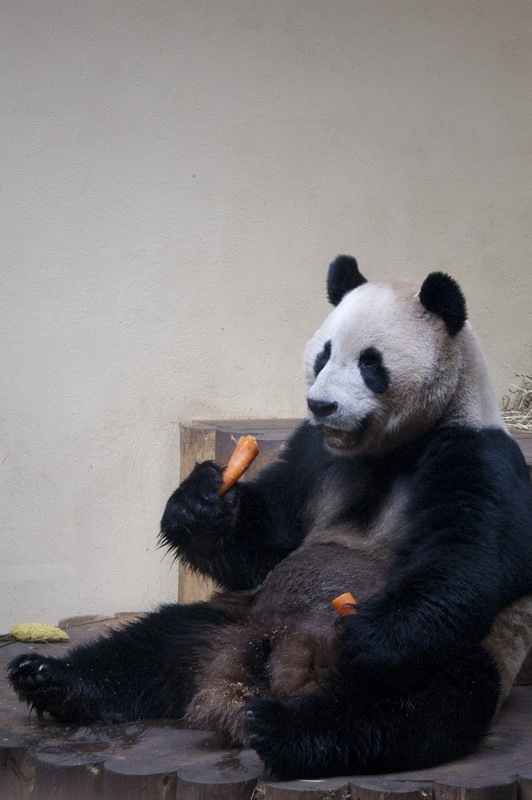 And onto his carrots, we were actually told that pandas can eat up to 14 hours a day and sleep for the rest of the day. I like this lifestyle i could quite happily exist to just eat and sleep. 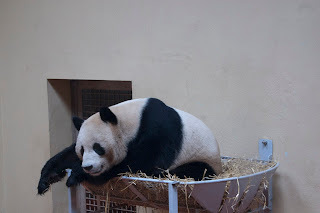 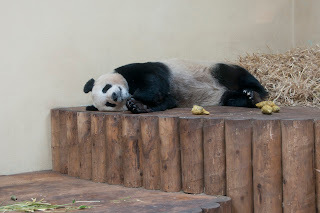 After so much eating it's quite tiring so a lazy rest for Yang Guang.